Inkybee has always presented the best metrics for assessing the blogs you are interested in – audience reach, engagement, posting activity, social media followers, SEO variables, and more. 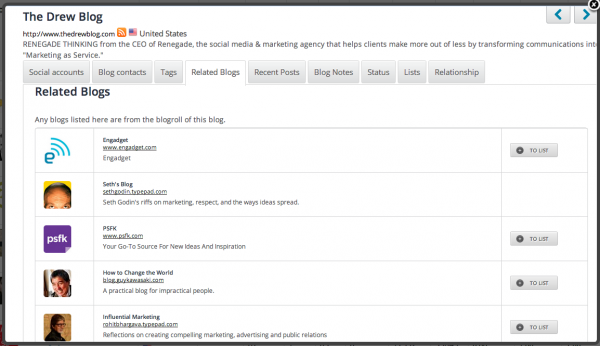 Now we’ve added the ability to show and record lots more information on every blog, all in one place. 1 Social Media: The social media accounts associated with that blog, including new Klout and Kred data, plus the ability to add more. 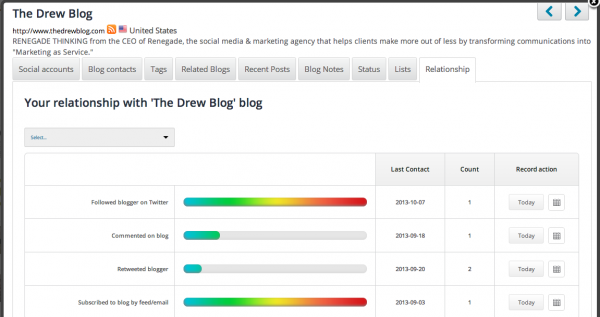 2 Tags: The most used tags for the posts in the blog. 3 Blogroll: Any related blogs from the blogroll if one exists. 4 Recent Posts: The most recent posts published by the blog. 5 Add contact details for the bloggers. 6 Add any notes relevant to that blog. 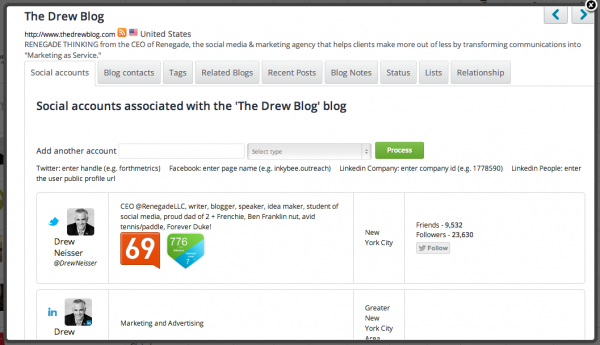 7 Keep a record of all interactions with the bloggers to track relationships with them. 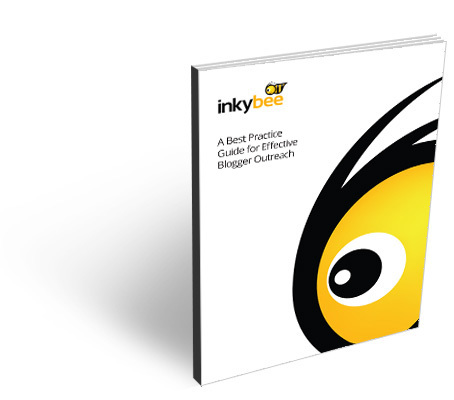 Inkybee is here to make your life easier, taking the pain out of blogger outreach. Why not give it a go? You can start a 30 day free trial on the home page.